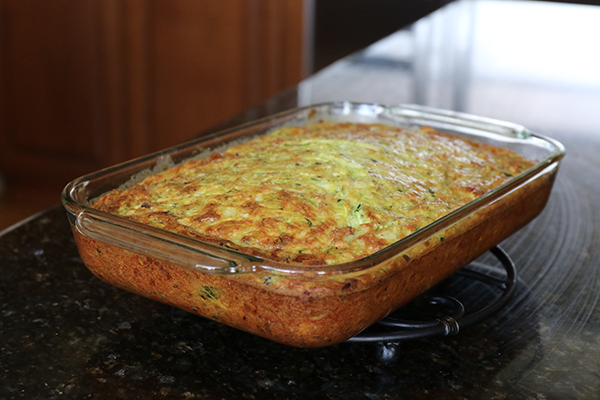 This recipe is astonishing easy to make and is a firm favorite of the boys - especially for brunch. 2. Grease a nice, glass oven proof dish with a little oil or butter. 3. 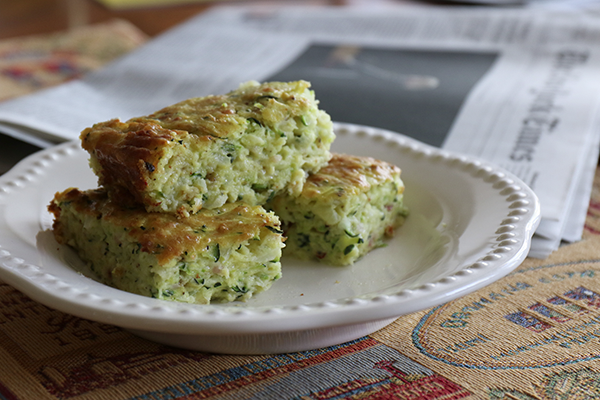 Grate the unpeeled zucchini. 4. Finely chop onions and bacon. 5. 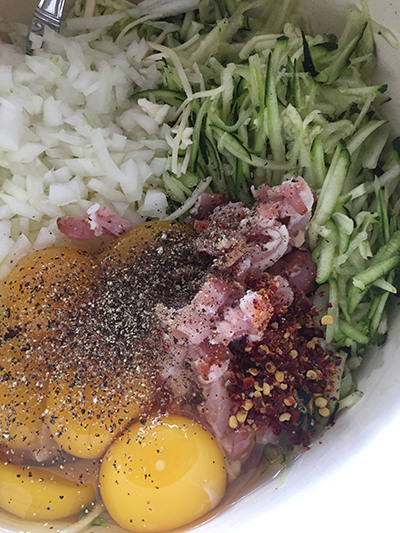 Combine all ingredients in large mixing bowl and mix until just combined. 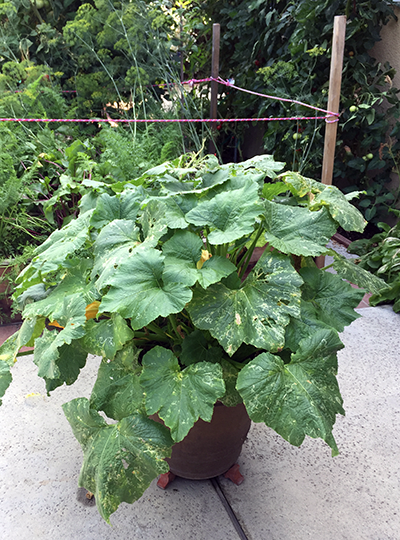 Zucchini can take over the garden - best in pots. 6. Pour the mixture into the oven proof dish. 7. 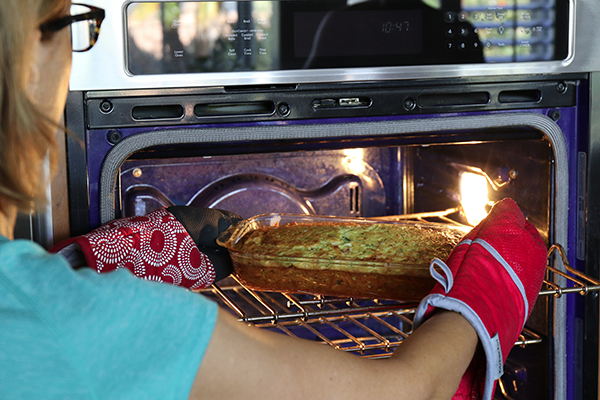 Bake 350 F for about 30 – 40 minutes - until browned.